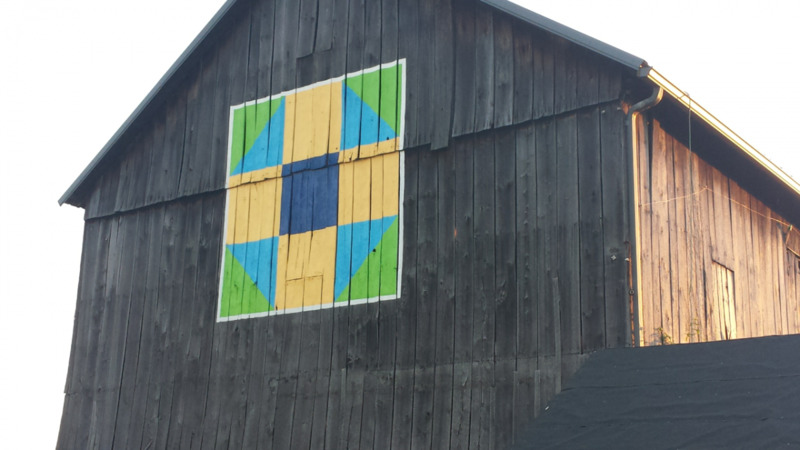 ﻿ Monroe County Patchwork Jewels Quilt Barns - Ohio. Find It Here. 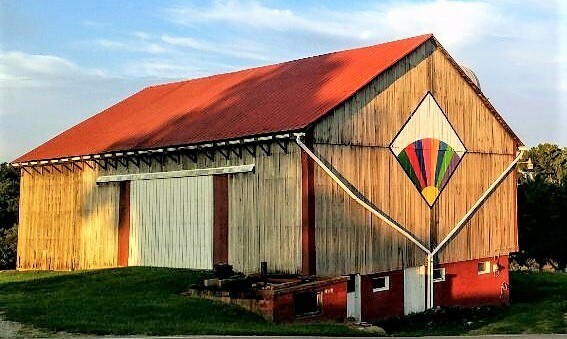 Patchwork Jewels of Monroe County, Ohio, includes a self-guided tour of 20+ quilt barns and other barns (all painted by the Monroe-County-native Barn Artist, Scott Hagan). 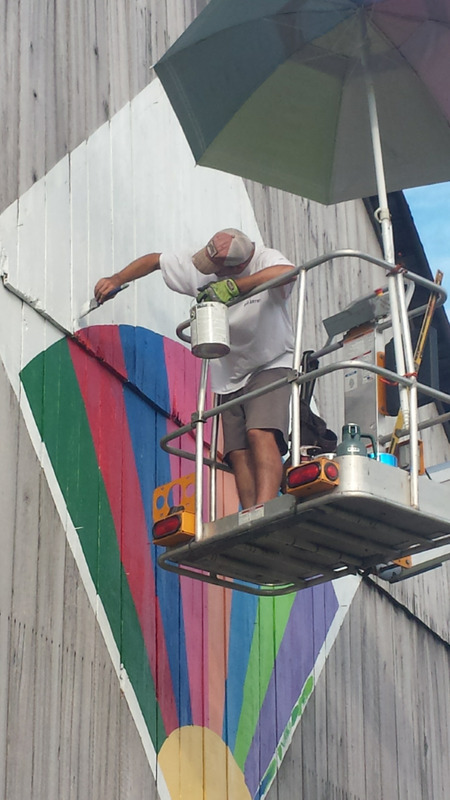 Other barns include those painted in honor of Monroe's Bicentennial Celebration in 2015. Stop by the Monroe Arts & Visitors Center for a brochure (Open Tuesdays & Thursdays 10 a.m. - 3 p.m.) Quilt barn designs include: The Bowtie; Flying Geese; The Mariner's Compass; The Amish Diamond; Ohio Star; Courthouse Square; Log Cabin; Crazy Patch; Star Shadow; Goose Tracks; Grandmother's Fan; Nine-Patch Star; Carpenter's Wheel; Eight-Pointed Star; Windblown; Shoo Fly; Grandmother's Flower Garden; Maple Leaf; Colorado; Flower Basket; Monroe Bicentennial and map of the state of Ohio in 1803.